A prolific contributor to Mozilla's GFX-RS project, the Rust programming language, and also an author to a Rust-based SPIR-V shader compiler is now working on a C++-based Vulkan-over-D3D12 implementation. Msiglreith recently began work on Rostkatze (German for "Rust cat") as a C++ implementation of Vulkan sitting on top of Direct3D 12 and an offshoot from the GFX-RS Rust-based project engaged in by Mozilla developers. While the project is young and missing a lot of features, surprisingly for its small code-base it is already achieving some functionality. A number of Sascha Willems' Vulkan code samples are already running on Rostkatze while being then rendered using the Direct3D 12 driver. While most Windows systems have Vulkan driver support, this could be useful in cases where the D3D12 driver is higher quality than a Vulkan GPU driver or perhaps for trying to get Vulkan onto the Xbox One. 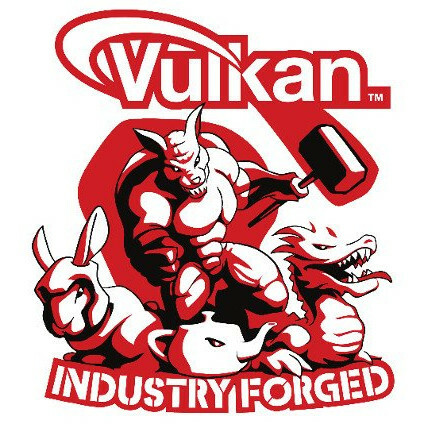 The Khronos Group has also expressed interest in Vulkan portability atop Direct3D 12, similar to now having Vulkan atop Metal. Though Rostkatze at this point doesn't appear to be an officially sanctioned project, but will be interesting to see how far it gets for mapping the low-level graphics/compute API atop Microsoft's low-level modern graphics API. Those wanting to track the development of the Rostkatze project can do so via the GitHub repo.